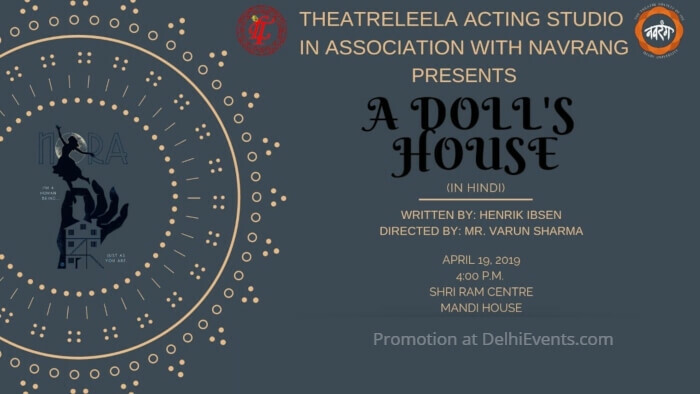 Event Description : THEATRE : TheatreLeela Acting Studio in association with Navrang presents "A Doll`s House" Hindi Play. The play revolves around the fate of a married woman. It deals with the questions of women's right,the ability of women to express themselves, and how they are dominated and controlled by the patriarchy.